Sunningdale prides itself on sending boys to some of the best public schools in the country. An important aspect of the Headmaster’s job is to help parents decide which public school best suits their son. 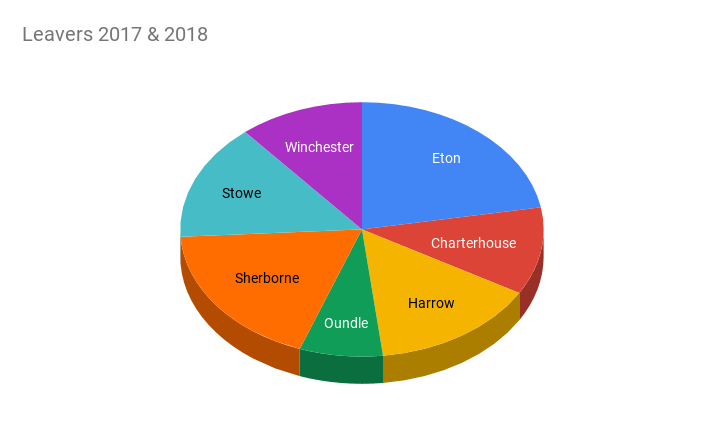 Over the last five years, the most popular schools for our boys have been Eton, Harrow, Stowe, Sherborne, Winchester, Charterhouse and Oundle. Each year a number of boys sit scholarship exams for their public schools.